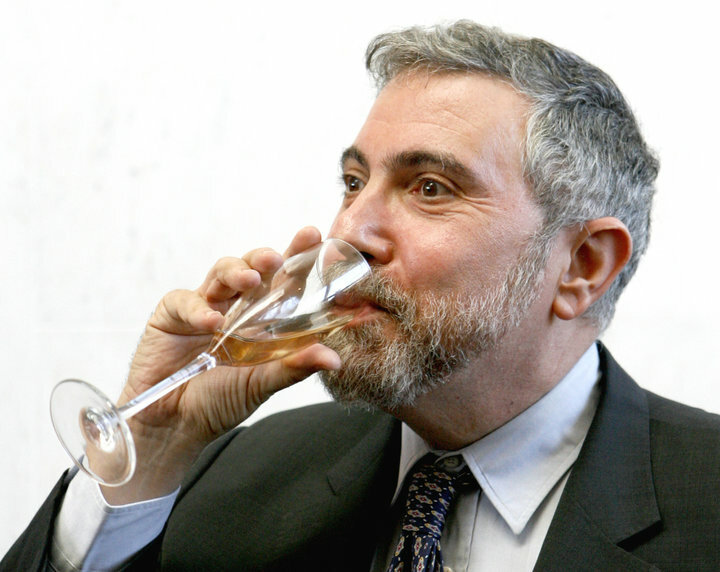 It must still burn Paul Krugman that he lost that Bloomberg debate to Ron Paul. President Trump stings Krugman in a tweet and he immediately goes to the real thing that still bothers him, that debate loss. I'm sure psychiatrists must have a word for this kind of reversion back to deep pain. In his latest column, Krugman called Dr. Paul a "frothing-at-the-mouth Austrian type" for his warning that Federal Reserve money printing eventually leads to accelerating price inflation. I repeat, he goes after Dr. Paul just days after Trump correctly pointed out that Krugman claimed on the day of Trump’s historic, landslide election victory that the economy would never recover from the victory. A disastrous forecast. But, my all time favorite is Krugman coming out in 2103 with a book, End This Depression Now!, when it was clear the Great Recession was already over. As for Ron Paul's price inflation forecast, only a propogandist like Krugman would claim there has been no price inflation and futher not recognize that it has been accelerating of late. Compared to Krugman, Dr. Paul looks like an on the money modern day Michel de Nostredame. Trump = moot rhetorical mook.